Madrid is one of my favourite cities in Spain – it has a wonderful urban vibe while still quite relaxed and not too much hustle-bustle. Karen walked us through some of the best museums, parks, and tapas bars in Madrid. But if you’re not on a tapas tour or travelling with a local, what tapas should you order? There are probably hundreds if not thousands of types of tapas dishes served up in Madrid – here are some I can’t wait to get back and try again. 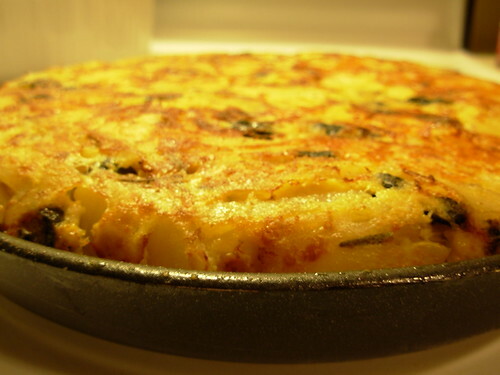 This egg-and-potato snack might just be the perfect tapa – it’s filling, simple, and works for lunch, a snack, or as part of dinner. In a few special places in Madrid, you’ll find one extra ingredient added – sometimes it is chorizo, sometimes onion, or maybe even a vegetable. Delicious. Leave it to the Spanish to elevate meat to a new culinary high. 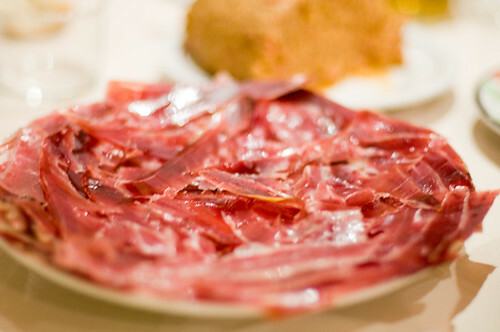 Jamon – basically dry, cured ham – comes in many, many, many forms in a Madrid tapas bar. I love it with a drop of olive oil and maybe a bit of tomato, but you can eat it on its own, on a slice of bread, wrapped around a slice of cheese, or any other number of combinations. 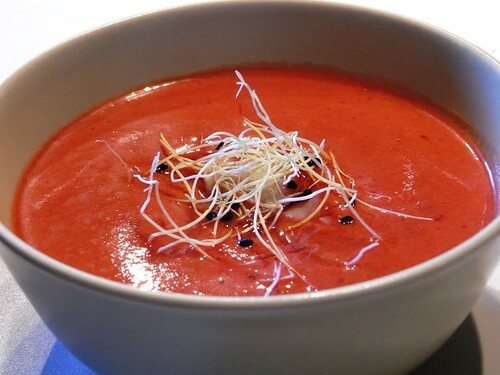 Spain gets hot in summer, and so I have to give a shoutout to one of my faves, gazpacho – cold soup. I’m not sure what it is about a dish that is served at the ‘wrong’ temperature, but a good bowl of tomato-and-garlic soup really can perk up the most wearied sightseer. You don’t see it everywhere, but when you do, get it – and thank my later. Last but not least is a shout out to Madrid’s cheese culture; the city has several artisan cheese shops, and you’ll find plenty of cheese boards, cheese plates, cheese samplers, and cheese accompaniments. 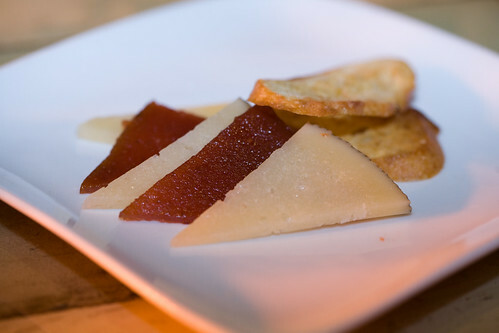 And cheese goes with almost every tapas – it’s a hunger-pain-killer, a palette cleanser, and a flavour enhancer. Try out a few new cheeses – and be sure to ask about the ones you like the most, and see if you can spot them in one of the many cheese shops around town. What’s your favourite type of tapas in Madrid?